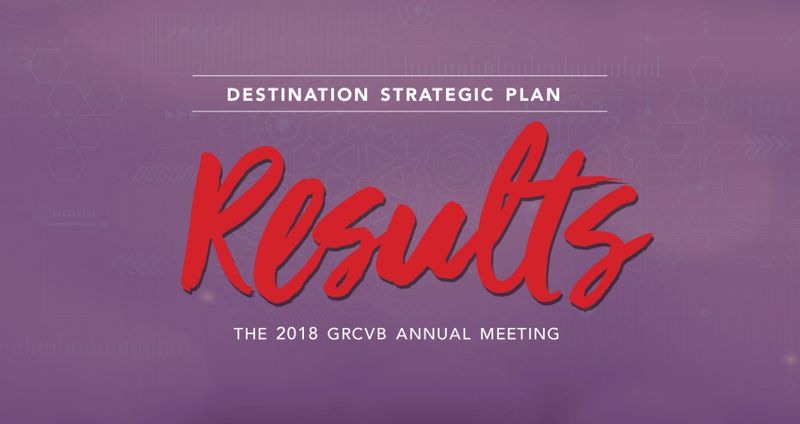 Perhaps not as hotly anticipated as Incredibles 2 yet the unveiling and launch of the Wake County Destination Strategic Plan at GRCVB&apos;s Annual Meeting on Aug. 16, 2018, will be an event you won’t want to miss. After more than a year of examining our area and its strengths as a tourist destination, reps from Jones Lang LaSalle (JLL) will brief our stakeholders and partners on what is needed to increase overnight visitation to Wake County and set us apart as a destination that individual leisure tourists, meeting professionals and conventioneers and sports event organizers and players throughout the nation consider. In the 12+ months that JLL has been working with Wake County and Raleigh, N.C., JLL has heard from more than 1,800 stakeholders—from focus groups with our partners, all 12 communities and County government, leadership and GRCVB and GRSA committees and working groups; to individual interviews and conversations with the county’s largest demand generators and others working to increase visitation among specific audiences; to surveys sent to residents in Wake County and to meeting planners. Through those conversations, they gathered rich feedback and perspectives of the many tourism assets in the county and opportunities to enhance our destination and create the strongest ROI in our engagement and marketing efforts. They also worked with a dedicated steering committee to test ideas and validate perceptions, updating its members monthly on progress in creating the strategy. Applying their broad knowledge of what destinations globally are doing to differentiate themselves and meet the ever-changing needs and wants of today’s leisure, business, or sports traveler, JLL has identified a number of priority areas for Wake County. These are topical areas where the hospitality, community and economic development partners can solidify our tourist infrastructure and demand generators and take steps to have a measurable impact on increasing overnight visitation to Wake County. From the outset, the strategy was and is meant to be a resource and tool for the entire county. While the GRCVB initiated the project and will take the results of the strategy into account as we plan for activities and initiatives in the years to come, the strategy will only be successful if all of our partners and interested parties in Wake County are involved. For GRCVB, this will mean taking the lead on some initiatives or recalibrating or rightsizing some of the things we already do. In other areas, our role will be to catalyze and convene activity. The overall strategy will be complemented by town plans for each of the municipalities in the county so that they can engage both in initiatives that raise the profile of Wake County as a destination, as well as more targeted efforts that strengthen their individual tourism competitiveness. We’ll look to our partners to identify areas where they can and should be involved and will work together to implement the strategy. Join us on Aug. 16 at our Annual Meeting to hear the results of JLL’s work and to learn how you, your company/organization and community can get involved! Click here to get tickets, but don&apos;t wait too long. Ticket sales end this Thurs., Aug. 9, at close of business.